This is yet another page in the book of questionable hits by Cincinnati’s star linebacker. Missing five games in a contract season could cost Burfict dearly next spring. 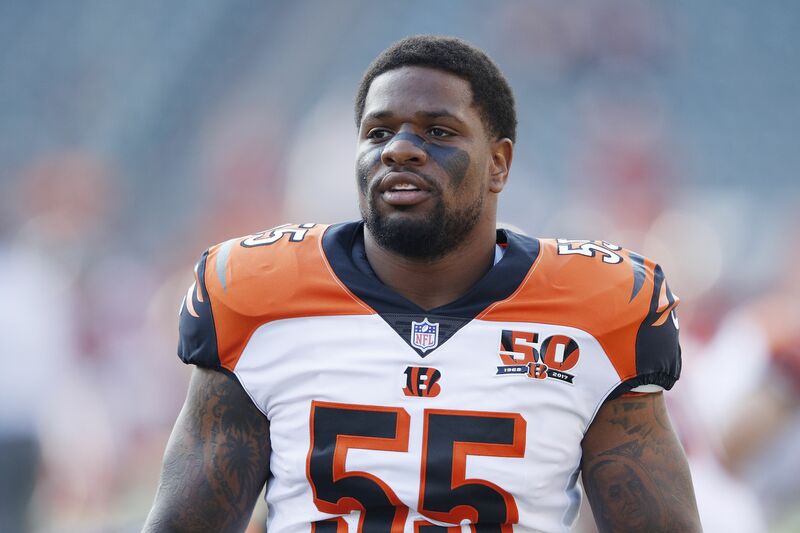 ESPN’s Adam Schefter reports that Cincinnati Bengals linebacker Vontaze Burfict is facing a five game suspension for an illegal hit on Kansas City Chiefs fullback Anthony Sherman. The notoriously dirty linebacker will appeal, and an official hearing will be held next week. If the decision is upheld, Burfict will return in week seven as the Bengals have their first matchup with the division rival Pittsburgh Steelers. Missing the leader of their defense for any amount of time would put the Bengals playoff hopes in dire straits, as the aforementioned Steelers have the strongest team they’ve fielded in a few years with the return of Martavis Bryant. The Baltimore Ravens are always tough, no matter how snake-bitten they are. Even the Cleveland Browns might finally be turning the corner. As for Burfict, he would lose out on over $800k of game checks, but that’s nothing compared to what he could be losing in free agency. 2017 is the final year of his contract, meaning he’s due to hit free agency at the end of the year. Make no mistake, Vontaze Burfict is one of the most talented linebackers in the NFL, and he would be in line to get paid like that if not for his history of dirty hits and illegal tactics. Burfict was suspended for the first three games of the 2016 season for repeated violation of player safety rules. The last straw for the NFL was his hit on Antonio Brown in the playoffs, where he came dangerously close to ending the career of the NFL’s most prolific receiver or worse. While it may not look especially dirty, the NFL is implementing a new rule preventing defenders from hitting running backs in a defenseless posture. The result of Burfict’s appeal will tell us quite a bit about how seriously the NFL plans to enforce this rule. Whether you believe this hit is dirty or not, Burfict’s reputation suffered yet another major blow that he can ill afford if he’s looking to cash in next spring.